Neurologist Andrew Russman, DO, head of Cleveland Clinic’s Stroke Program and Medical Director of its Comprehensive Stroke Center, has been elected by the American Academy of Neurology (AAN) to serve as the next vice chair of the AAN’s Stroke & Vascular Neurology Section. He starts the two-year term following the 2019 AAN Annual Meeting, held May 4-10. In this Q&A, Dr. Russman (shown in photo above) shares goals for his tenure and insights on key issues facing his subspecialty today. Q: Can you explain a bit about AAN sections and the roles they play? A: AAN strongly emphasizes keeping members informed and supported professionally. It has more than 35 sections covering the gamut of subspecialties and interests in neurology. I have been involved in the Stroke & Vascular Neurology Section since I joined AAN in 2003. Beyond offering continuing education in the field, sections provide opportunities for training and mentoring. They also advocate nationally for setting policy relevant to neurology. Another focus is fostering networking and communication in the field. AAN’s online communication board, Synapse, is an important forum for discussion of medical and policy issues among members, and I plan to be very involved with that. During my term as vice chair, I plan to work with membership to identify further needs and develop new areas of interest. My overarching goals are ensuring that members have access to what they need to be optimal clinicians and researchers, and that the field continues to move forward to improve patient outcomes. Q: What’s most notable in stroke care today? A: This is an exciting time in the field of acute stroke thrombolysis and thrombectomy. Our first agent — IV tPA — was approved in the 1990s and is still the only FDA-approved thrombolytic drug for acute stroke. But late-phase studies of new thrombolytic agents to treat acute stroke look very promising. At the same time, thrombolytic therapy is undergoing important changes in how it is deployed. We used to believe the risk of providing thrombolytic therapy outweighed the benefits starting three hours after stroke symptoms start. Now we’ve found that it’s safe to provide until 4.5 hours, and research is being conducted to see if that window can be extended further. Procedural interventions are also evolving. Similar to administering thrombolytic agents, thrombectomy for large blood vessel occlusion has traditionally had important time thresholds — if a patient presented too late, it was felt that there’d be no benefit. But now studies have confirmed the benefit of using brain tissue viability as the measure of whether to intervene with procedures or drug therapy, rather than predetermined times from symptom onset. This is a paradigm shift. Q: How is tissue viability assessed? Can every healthcare facility do it? A: That’s an important topic and a complex one. Advanced imaging capabilities are needed to evaluate tissue viability, and the closest emergency department to a patient’s home may not have them. Similarly, only certain hospitals can provide a thrombectomy and other advanced care for patients having a stroke. The Joint Commission has a certification system that defines the level of care that healthcare facilities can provide. These range from Acute Stroke Ready Hospital (which provides basic stroke services) to Primary Stroke Center to Thrombectomy-Capable Stroke Center (a recently added level) and finally to Comprehensive Stroke Center (i.e., having all the most advanced capabilities and highest expertise). 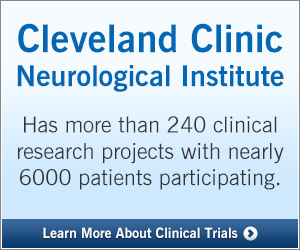 Patients with severe strokes often benefit more from the care provided at Comprehensive Stroke Centers (such as Cleveland Clinic’s main campus) and Thrombectomy-Capable Stroke Centers, both of which are scarcer resources in our communities than Primary Stroke Centers and Acute Stroke Ready Hospitals. However, it wouldn’t be the wisest use of resources to send every person experiencing stroke symptoms to these highest levels of care, so we need to promptly identify which patients require those higher levels. Q: What’s the best way of doing that? A: That’s one of the important tasks facing our AAN section: helping to advocate for a system in every community to ensure that patients have access to appropriate care. Patients must be triaged early on, even at the level of ambulance crews deciding where patients should be sent based on symptom severity and time since stroke onset. Vascular neurologists want to help our colleagues navigate the complex decision-making that gets all patients to the right stroke center the first time. Education, communication and setting up more efficient systems nationally and locally are what I see as key mandates in acute stroke care in the next few years. Fortunately, professional organizations like the AAN have the will — and the large membership — to develop smart changes and work to implement them.